Fantastic gut renovation in highly desirable North Hampton Neighborhood. 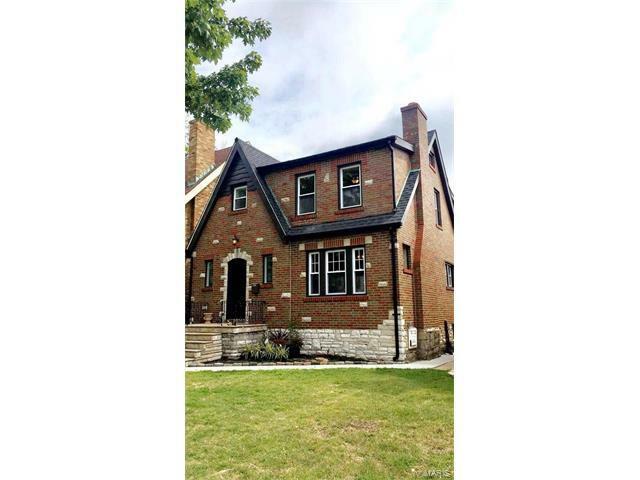 This 3 bed 1 1/2 bath home has been painstakingly renovated down to the studs. New windows, all plumbing including new 1" line to the street and replaced cast iron under home, all new electrical, electrical panel 200 amp, 2 new AC units (zoned), refinished hardwood flooring, new windows throughout (double hung-tilt in windows) new garage door/opener, new siding, fascia, new 6' wood privacy fence, new water heater, new kitchen with porcelain tile flooring, granite counter tops, custom cabinetry, recessed LED lighting, and black-stainless appliances. Updated bath with subway tiling, new vanity, and toilet, refurbished stain glass windows, New carpeting in all 3 bedrooms, new base, casing and sills throughout. New architectural shingle roofing, fresh paint, all new drywall no plaster or wood lath. Gorgeous wood burning fireplace. The list goes on and one. This home has old world charm with all the new amenities. From Hampton and Chippewa go west on Chippewa to Brandon turn left then left on Lindenwood Ave.